President of France, Charles de Gaulle is on a state visit to the United States of America and he asks to meet a French hero who holds the Légion d’honneur and who lives in New York. Eventually, retired lift operator is found and brought to the President. 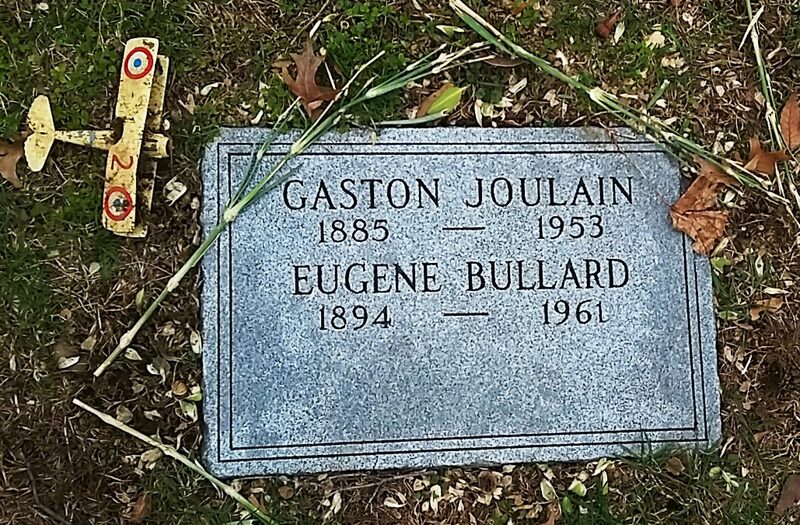 The man is Eugene Jacques Bullard and is almost unknown in the country of his birth but he holds a remarkable place in the history of aviation. 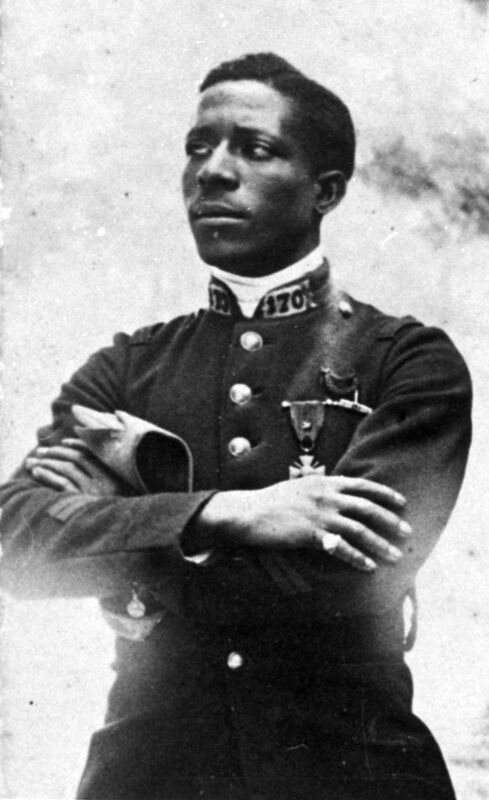 Bullard in his Corporal’s uniform during the WW1. 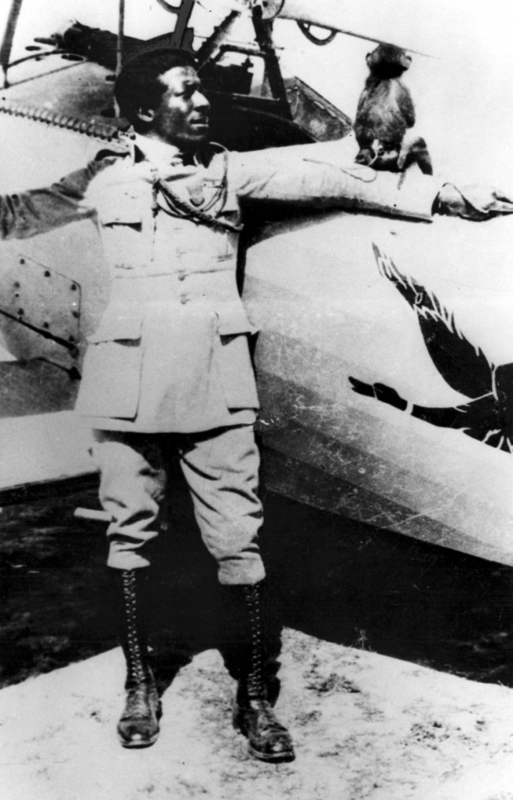 Bullard in 1917 beside a Nieuport while with Escadrille 93. 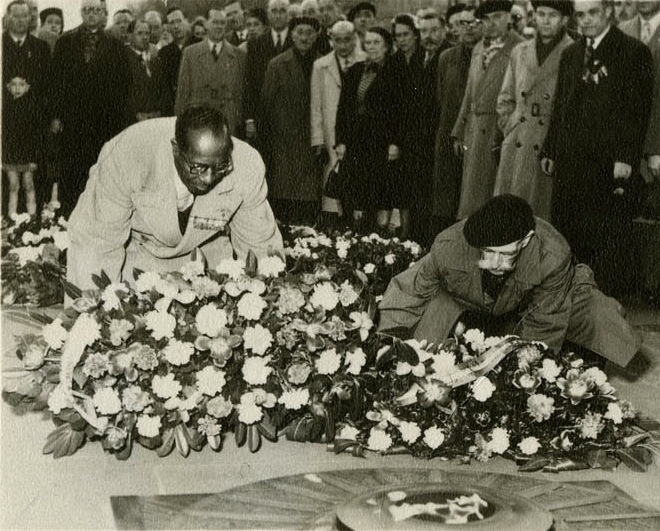 Bullard at the Tomb of the Unknown Soldier in Paris, 1954. Title image by APG listener Jonathan Alexandratos who lives near Flushing Meadows cemetery and who took the time to visit the grave of Eugene Bullard which can be found in Section C.
Other images under Creative Commons licence with thanks to Sus scrofa, Wikimedia Commons, US Gov USAF.